With our economy at its current state and the rise in competition, it can be difficult to stay competitive in the fitness industry. You have to keep with the current fitness industry trends and fitness industry statistics to get in touch with your members and patrons. Staying current in the trends can also help you attract new members and retain your loyal ones. Avoid replicating the marketing ideas used by your competitors and instead, go for fresh ideas that can guarantee you success. A primary focus that will always stay fresh and true in the minds of the majority are charity events. In order to organize a charity fitness campaign, first you have to select a few charities close to your heart. If you cannot decide from the countless options, then have your club members choose for you as part of the campaign. Select a date by which your health club members can submit statements summarizing why a certain charity should be selected, then you can personally select the one that impacts a member of your health club. Thereafter, organize a charity even that will not only promote your business but will also help one of your members! 1) Organize fun events –Organizing a fun event can help your business get recognition. Since existing members and prospective ones are given a chance to really participate, events are sure to give you your much-needed break in marketing. For instance, for the selected charity, organize a 5k walk or run. Set a minimal amount for the sign up but be sure to donate all proceeds to the selected charity. For incentive for participating in the walk/run, be sure to give away something related to your health club. Also keep in mind to classify different fitness levels/abilities and give away a prize to each. Getting the community involved in these events will help you win the hearts of many residents, some of whom might even sign up for a membership. Another perk is that these types of events normally get a lot of publicity because local news networks will love reporting on GOOD news (hopefully). This means you get free press while helping the community and showing everyone that your health club is compassionate for their members and your business gets recognition. Another idea is to organize a community weight loss challenge. These events are sure to get your current members pumped up and excited. With excited members, you will also get more referrals and more loyalty, which translates to more success. But it is also important to understand that if you are organizing a charity event, so the focus should be kept on the cause or charity instead of on your gym. 2) Give great deals and discounts – Promoting your health club can be as easy as putting up a deal on a website. One way to do this is to select a time period in which you promote a discounted service (monthly membership, personal training, nutritional services, family/friend rates, etc) and a percentage of donations towards that service will go to a selected charity. These deals and offers are a great way to convince new members to try out your gym too. Another idea is to offer a highly discounted package for personal training or a discount on one month membership and for every signup or refereed signup your gym will additionally donate $10 for every signup and $15 for every referred signup. 3) Social media promotion – Marketing experts know that social media marketing is very effective for promoting businesses. If your gym does not already have an official Facebook or a Twitter account, create one today. This can help you get in touch with your existing members and see what they have to say and what charities they support or want you to support. Give them an offer for an attractive deal if they can help you get more followers. For instance, you can give them an offer for one month free membership if they bring in 50 new followers. The same concept is true for “likes” and “shares” when you are organizing charity awareness or events. Social media is one of the best ways to send across that message to your existing members. Those members can also help promote your event by inviting their friends or referring them to you. 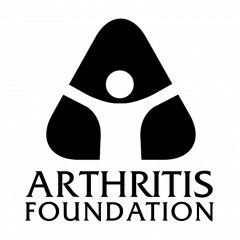 Go out there and get your health club involved in sponsoring a charity today like the Arthritis Foundation! ~May is Arthritis Awareness Month…please be aware that arthritis does not discriminate and can effect anyone. Please have compassion for those in chronic and disabling pain. Topic for Discussion: Does your health club sponsor a charity? Which one?